Monterey, CA - July 2017… Held at the Monterey County Fairgrounds in June 1967, the three-day Monterey International Pop Festival was the first great rock festival and helped kick off the late 1960s music scene, the Summer of Love, and much that followed. From June 16 to 18, 2017 -exactly 50 years to the day later - "Monterey International Pop Festival Celebrates 50 Years" brought two of the same artists (Eric Burdon and The Animals and Booker T., albeit without the MGs) and many newer ones to the same venue. 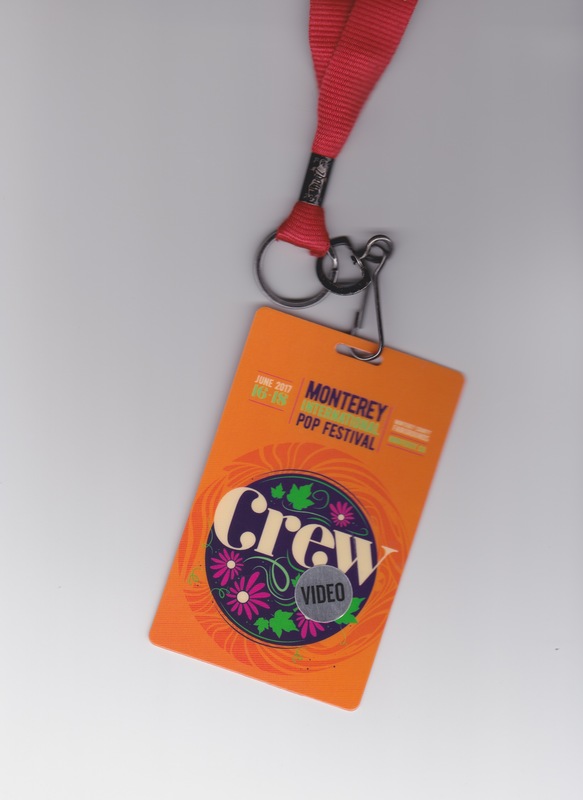 The original festival was filmed for the famous documentary Monterey Pop, directed by D.A. Pennebaker; the 2017 festival was filmed for a documentary directed by D.A. 's son Jojo Pennebaker. Director Jojo Pennebaker watches Regina Spektor's set from the editing bay. The audio recording team of John Baccigaluppi, owner of Single Fin Studio Group, and Sacramento audio engineer John Bologni captured the music of the entire festival using a TASCAM DA-6400 64-channel Digital Multitrack Recorder. "The film team had a 34-person crew, including the two of us, and they filmed it with six or seven cameras," Baccigaluppi recalls. "Recording the festival was a daunting and complex task and setup, especially since we didn't get confirmed for the gig until less than 10 days before it was going to happen. So we were scrambling to put together a rig. Very early on, we identified the TASCAM DA-6400 as a high-quality, reliable capture device." An analog snake brought a 48-channel split from the stage to a Dante network by way of Focusrite RedNet Dante interfaces. From there, the digitized audio was routed to a DA-6400 equipped with TASCAM's optional IF-DA64 Dante card. "Dante was amazing," Baccigaluppi insists. "I wasn't sure about all that data coming through one Ethernet cable but it worked!" In addition to the 48-channel stage feed, the recording team had 5 audience mics. One band had a completely separate system, disconnected from everything but the house speakers, so Baccigaluppi and Bologni also took a 10-channel stem split from that band's system. The Monterey Pop 50th Anniversary audio crew (L-R): John Bologni, Jesse Lauter, John Baccigaluppi. That added up to 63 inputs. "I just put it in Record and tracked 64 tracks all the time," Baccigaluppi states. "There are sets where we only used a few tracks-when Regina Spektor played, it was just her and a piano-but it was easier to keep everything on and rolling. Besides, we had input lists and stage plots but a lot of them had changed, so it was safer to record all channels all the time." Highly respected sound company Ultrasound provided the sound system for the festival. "The Ultrasound people said, 'we're going to give you an analog split, and we're going to move that split every set, but you will get the proper split'- and to their credit, they never messed up once," praises Baccigaluppi. "They're one of the most professional sound companies I've ever worked with. The people they hired did a great job." As much faith as the recording team had in the TASCAM DA-6400, Baccigaluppi knew better than to go without a safety backup. "We also recorded to a DAW to have redundancy," explains Baccigaluppi. "That was the last thing we added to our rig. And in case everything else failed, we had a TASCAM HS-P82 8-track Pro Field Recorder at front-of-house that digitally recorded our five audience mics and the main mix directly from the front-of-house console." As it turned out, the DAW and the HS-P82 weren't needed except for the recording team's peace of mind. "The TASCAM DA-6400 captured every set of 24 bands in 3 days without a hitch," confirms Baccigaluppi. "It worked flawlessly. The removable drive caddies were a huge feature because at the end of each night, I just pulled the caddy and gave the drive to the media person from the film crew, whose job it was to back everything up. Then I put a new drive in the caddy, and-bam!-the next morning I was ready to go, without having to worry about anything." Having just landed the gig 10 days before the festival, Baccigaluppi was forced to take a seat-of-the-pants approach to the DA-6400. "I had no time to prepare or to wade through a manual," he admits. "There are so many options in the DA-6400 that I feel like I should have read the manual but I simply didn't have time. So I just hit Record and treated the DA-6400 like a tape recorder-and it worked great."